The Tradex community is home to over 140,000 organisations and is the largest online construction-based trading hub in the UK. We connect thousands of buyers to suppliers, provide a secure platform for efficient transactions, and offer the only trading community that understands the construction industry. Improve first-time pass rates by automating validation in the Cloud with a single streamlined connectivity channel to your ERP. 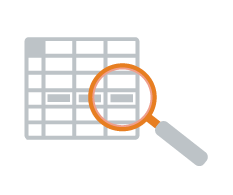 Gain speed and visibility with automated matching and remove the need to manually re-key invoices into your ERP. Transactions can be tracked, rectified and followed–up when required. Drastically cut down on manual back-and-forth communication regarding invoice discrepancies. Scale your business in a sustainable way by automating numerous accounts processes. Create your requisitions through a single unified platform with access to e-Catalogues populated by suppliers. 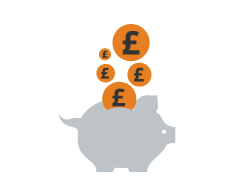 Eliminate maverick spend and achieve agreed rebates with accredited suppliers. Reduce cost-to-serve for the supplier and create opportunities for more advantageous pricing for the buyer. Scale your business in a sustainable way by automating numerous procurement processes. Reduce cost-to-serve for the supplier and create opportunities for more advantageous pricing for the buyer. Improve supplier relationships and become a preferred supply chain partner. Track the status of all submitted invoices, removing the need to manually contact customers for invoice status updates. Tradex allows you to automate your entire source-to-pay process. Our technology is able to manage all transactional document exchange processes from accreditation to approval and delivery, eliminating a large margin of human error, thereby speeding up workflow, improving accuracy, and reducing financial risk. Create requisitions and purchase orders within an online environment that seamlessly integrates with your ERP. Users can select items from a list of products/catalogues which are uploaded into the Tradex portal by approved suppliers. All prices are reviewed and accepted prior to being made available to end users to request or purchase. Speed up submission and receipt of enquiries with an online, automated enquiry management tool. eTender is a secure, cloud-based information exchange platform for automated sending and receiving of enquiries and tenders. Contractors can upload tenders and associated documents for automatic submission to select suppliers. Suppliers can price these tenders online, adding documents and notes as appropriate, and return them to the main contractor for comparison and selection. Ensure that your suppliers and sub-contractors meet specific compliance criteria. Supply chain management is a challenging, administrative task that is often duplicated within organisations. Furthermore, keeping the information up to date is essential, but is often neglected due to the volume of suppliers and the effort involved. Easily accredit all of your vendors in a single platform, which automates the process of capture and update of vendor information. Measure performance and act upon feedback of approved vendors working on contracts. 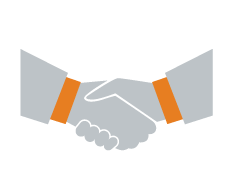 An effective partnership that improves overall performance and delivers an ever-improving service relies on two-way feedback between you and your suppliers. Tradex enables you to consistently, and regularly, capture the performance of suppliers and internal teams, providing the information in a way that can be easily re-used and built upon. As a result, Tradex is more than just a database, it is a live and dynamic system. Benefit from a single classification convention to manage suppliers across their entire supplier management process. Vendors looking for work can be discovered by other businesses seeking business partners that fit certain criteria. When used in conjunction with our Supply Chain Performance Management module, your centralised vendor database becomes your company’s league table of accredited and best-performing vendors, where you can search by trade, coverage or by a number of other key vendor attributes. Easily track and monitor key performance indicators in real time. Highly customisable and accessible from any location, Analytics enable you to ask the 'right' questions, explore your options and make the most beneficial decisions. Each team or member of staff can report on those KPIs that are key to their specific role. 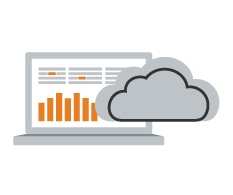 Analytics lets you take control of your business data and effectively deliver business intelligence. It allows you to visualise, interact, analyse, customise, publish, collaborate and share data in few easy steps. You’ll be able to organise your KPI information to suit operational and management requirements, using pre-built Widgets for a quick start and adding your own user-defined Widgets as required. Maintain a single, authoritative repository for storing, organising, controlling, auditing and managing electronic documents. The solution integrates with many other corporate and scanning solutions to manage any documentation or unstructured business data associated with specific suppliers or projects. All documents have the ability to be given a unique file name, tags can be added and fully indexed to provide extremely accurate search and retrieval capabilities. Access an integrated finance solution that delivers a clear value proposition to buyers and suppliers. Tradex manages information from all parties centrally and provides a tailored gateway through which each can manage, monitor and maintain effective supply chain financing. Buyers improve cash management, supply chain liquidity and supplier relationships within a flexible and highly accessible framework. Suppliers convert trade receivables into cash in the bank to support business operations, sales growth and finance management. Causeway’s Tradex e-Invoicing software enables supply chain partners to electronically send and receive trading documents such as invoices, requisitions and purchase orders. Once connected, companies can trade electronically through a scalable and flexible integration hub that supports multiple document types and user services. Flexible and easy to deploy, this B2B e-commerce solution eliminates inefficiencies associated with handling paper documents to deliver significant cost reductions in the management of electronic transactions throughout the supply chain. Causeway will also help with rolling out the Tradex e-Invoicing software to suppliers for smooth implementation. The Tradex platform provides a range of bundles for both buyers and suppliers wishing to exchange documents electronically. Tradex Portal is a simple web-access to Tradex that allows organisations to enter their invoice details using an online form. This connection type is not integrated with your back office applications, but is ideal for companies who only exchange a low number of documents. 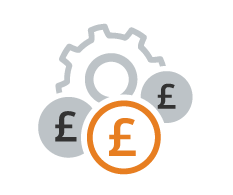 The Tradex Buyers Bundles allow buying organisations to exchange trading documents directly via their back office/ERP applications. The Tradex Sellers Bundles allow selling organisations to exchange trading documents directly via their back office/ERP applications. Gain access to Tradex by getting in touch with us. We will be happy to discuss the best Tradex Bundle for you. Allows for manual keying-in of invoices via the Tradex Portal. The ability to transact via a single document type, e.g. invoices, purchase orders, order acknowledgements, etc. The number of trading documents a company can process in an annual period via Tradex. An enhanced version of Tradex Portal with additional modules. The Tradex Attachments module allows you to send any type of supporting documents with your invoices, including proofs of delivery, timesheets and worksheets. Unlike simple email attachments, items attached in Tradex are presented to the receiver alongside the invoice as one document. Provides access to create and view standard reports as well as providing users with the ability to create custom reports. All reports can be schedules to run or run on a scheduled basis. Reports are available on-screen or in an excel format which can be downloaded for manipulation and/or review. The Tradex PO Flip module automates the creation of supplier invoices by using the corresponding purchase order (PO) details to generate invoices, without the need for manual re-keying. It has the ability to retain the electronic invoice details for support of internal processes. Buyers upload electronic POs into Tradex, which provides an auditable exchange of details. Suppliers can then view the POs online and extract PDF copies. Users who want to integrate PO data into their back-office system can download the POs directly. Many of your invoices may be similar, with the only difference being invoice lines and product codes. With the Tradex Templates module, you can save invoice types to be duplicated, allowing you to save time that otherwise would have been spent manually re-creating similar items. Provides comfort that should there be a situation where recovery is required, Tradex has this covered. The solution operated dual replication of data as well as encryption of all information processed via Tradex. Should disaster recovery ever be needed, Tradex would be backed up and running within 4 hours of DR being initiated. Tradex will store a copy of all transactions processed via Tradex on behalf of all trading partners for a minimum of 7 years. All transactions can be accessed via the online hosted Tradex portal. With the Tradex Batch Retry module, any supplier invoice that fails to pass a business rule or validation check is stored in a separate holding area for a set period of time. Whilst the invoice is in the holding area, the supplier will be notified via email that their invoice has not yet been processed by their customer. They will be informed that Tradex will continue trying to submit the held invoice for the set period of time. The customer will also be notified of the delay, which allows the receiver (customer) to view the invoice or update their systems accordingly. Provides comfort that should there be a situation where recovery is required, Tradex has this covered. The solution operated dual replication of data as well as encryption of all information processed via Tradex. Should disaster recovery ever be needed, Tradex would be backed up and running within 1 hour of Disaster Recovery being initiated. 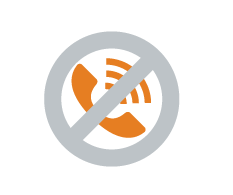 When invoices are rejected, they either need to be recreated or a credit note must be raised. With the Tradex Sender’s Toolkit, you can simply edit and resubmit your invoice using the Tradex platform rather than recreating them from scratch or editing them in your accounts system. This makes it far easier to deal with returned invoices and saves a huge amount of time that would otherwise be wasted recreating invoices and raising credit notes. The Hub to Hub module ensures that only a single connection to Tradex is required for any inbound or outbound EDI transactions without the need to integrate to multiple eTrading hubs. Tradex would connect to eTrading hubs of your trading partners without any requirement on the Tradex user to undertake any technical or commercial engagement with a 3rd party. A fully audited and managed service, Managed Email lets you send all your supplier orders, remittance advice, customer invoices and many other documents to any of your trading partners, whether they use Tradex or not. They can then view them and save PDF copies free of charge. It even tells you when your invoices have been received and viewed, checks for bounces, chases up invoices that haven’t been opened and shows status reports. Tradex has a fully integrated Analytics/Dashboard capability within the platform allowing management KPIs to be displayed graphically in real-time. Analytics also has the ability to integrate to other business systems allowing the aggregation of information/reports to be displayed in a single location for permitted users to see and analyse. The integrated workflow engine allows business processes to be defined and managed within the Tradex platform. This can be used for routing of documents for approval either for all documents or only those that fail a business rule, such as missing purchase order number. Full tracking of processes, email notifications and task lists are provided to ensure compliance with agreed business processes and that no documents are missed. Allows senders of invoices via Tradex to apply their customer specific rules within Tradex to alert them to any issues they may have with an invoice before it is sent to a buyer. Tradex typically checks the invoice contains a PO number in the format their customer would expect and most importantly accept. Remove the need to manually store and name documents for future retrieval. The Tradex Auto-Archiving module automates the storing of document in an internal system with a unique file name. It is compatible with both 3rd party systems and internal solutions e.g. 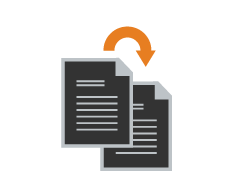 a document management system or shared drive. Allows users to set specific checks, which are automatically performed on all incoming invoices. If the incoming invoices do not meet all of the requirements, they are immediately rejected and returned to the sender. This saves you a vast amount of time that would otherwise be spent carrying out checks manually, dealing with queries, and returning incomplete invoices. 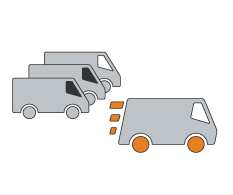 Multi-Divisional Routing enables organisations that may have multiple accounting systems within a single organisation, to integrate Tradex to 2 different ERP’s/Accounting Systems through a single Tradex connection. Dependant on the division or the entity an invoice is being sent to, Tradex applies the relevant business rules (Validation) and also re-formats the invoice into the relevant data file format required for the intended ERP/accounting system. Perfect for organisations that have more than one ERP. This allows a single connection to Tradex to integrate to multiple ERP’s for a single organisation without providing confusion or complexity to supply chain partners. Gain access to Tradex by getting in touch with us. One of our team members will be happy to create a personalised quote for you. 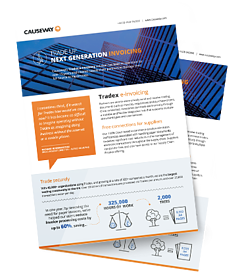 Download our datasheet to learn more about how you can streamline your organisation’s trading relationships. Causeway is a sponsor of the industry-renowned Billentis Report. 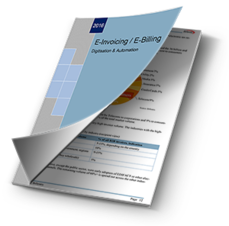 Explore the full benefits of electronic invoicing for your organisation in this free report.